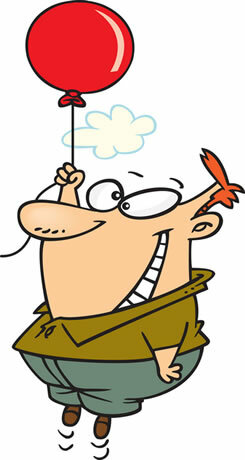 It’s always a good idea to do a little EFT before doing any business, especially prospecting. You need to have a good energy while doing anything business related. You need to raise your vibration. Never prospect when you are in a bad energy place. People will be able to feel your energy. Don’t believe me? Have you ever noticed when a person is in a really bad mood? You can feel your own mood change. A sigh from someone near you can bring your energy down. Their energy is affecting you. You are affecting people with your energy. You MUST have a good ABUNDANT energy when doing business activities but especially when prospecting. There are several essential oils that are really wonderful for raising your energy. Abundance essential oil blend by Young Living is the TOP oil blend I recommend for prospecting. 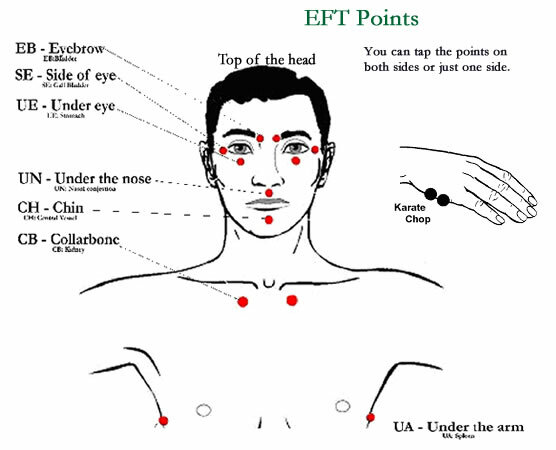 Wear it like perfume but also, put a couple drops on your fingertips before you start tapping the EFT points. If you have fear of speaking up, use a little Valor first, then tap through the points again using the Abundance oil. ** Note: Do not get too worried about which points to tap on. You can say any of the phrases while tapping on any of the points. It’s why I love the Tap While You Gripe Technique. 😉 Just talk (or think) and tap. Tapping on the Karate Chop point: repeat these phrases out loud, (or change the words to fit your situation). Even though I feel prospecting is a little scary, I deeply and completely love and accept myself anyway. Even though I don’t want to talk to people but know I want my business to grow, I accept who I am and how I feel right now. Even though I am having a hard time approaching people, I choose to feel calm, confident and abundant before talking about my business. You may repeat the positive round more than once if you wish. I feel the pressure to talk to prospects. I feel so anxious and need to do something now. I feel so nervous talking to people about my business. I am afraid they will not want what I have to share with them. Prospecting really stresses me out. I feel myself holding back. I choose to feel calm and confident. I do know what to say because I have prepared a few things to say that will stir interest. I intend to feel confident when talking to prospects. I love my product and I love sharing it with people. I love that network marketing has given me freedom in my life. I know this business can really change people’s lives. I love sharing the freedom of network marketing and my awesome product. I love knowing we all deserve abundance. I am prepared ahead of time with what I need to talk to new prospects. I am confident with the words I have prepared and the marketing materials I always have with me. Every time I have to step outside of my comfort zone I choose to feel confident doing it. I enjoy making new contacts every day. I appreciate the prosperity growing through my business. I’m grateful for all the new opportunities for abundance. I appreciate all the lessons I have learned. I choose to feel energized and motivated. I choose to feel calm and confident in everything I do. I love the feeling of confidence and growing abundance as I am prospecting on a DAILY basis. I choose to find it easy to talk to prospects. I choose to find it easy to make new contacts. I choose to find it easy to pick up the phone. I choose to find it easy to step out of my comfort zone. I love what I am doing. I choose to feel calm and confident all day, every day. 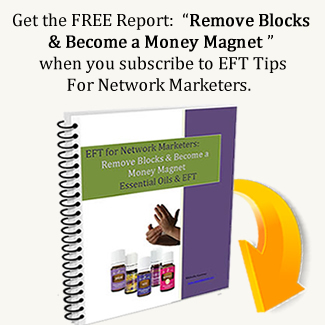 Young Living has lots of Essential Oils that will enhance your EFT and your business. Why not get started today with a Starter Kit? We often think it is fear of failure that is holding us back but, for most people, it is actually fear of success that gets in the way of success. You may be saying, “No way. I really want success.” The problem is, your subconscious may be saying the opposite. There is often one or more subconscious fears that are blocking the way. Success brings change and that can be scary. We all feel more comfortable with what we are familiar with. It’s called a Comfort Zone. To be successful in anything, we need to step out of our comfort zone. This is especially true as we are working toward raising our rank to Diamond Level in Network Marketing. Lots of changes come as you rise through the ranks in your company. You want to get to Diamond but there is a fear of the unknown. What will be expected of you as the team gets larger and larger. Fear of the unknown can cause you to subconsciously sabotage your success. Lots of fears come under the category of unknown. How will friends and family feel about your success? Will they be threatened by it? Will You lose friends? Will you have to do things you don’t like? Example: speak in front of a large group. Success in network marketing will mean an increase of income. That can trigger a host of subconscious fears. You may have an income set point that you have running in your subconscious. There can be a fear of having too much income that keeps you sabotaging your success. You may be saying, “No, I really want more income.” But these fears are running in your subconscious. They are conflicting with what you really want. One sign that this is happening is that you find yourself procrastinating. Procrastination is a way we subconsciously sabotage our success. We all have areas of our life where feel subconscious fears that show up as resistance. The tapping script below might help you shift some of those fears. In upcoming blog posts I will touch on some common fears that people have in their subconscious programming and some EFT scripts you can use to shift to a more confident state of mind. Even though I am afraid to move forward, I deeply and completely love and accept myself. Even though I feel uncomfortable about changing, I accept my feelings and who I am. Even though I feel conflicted about success because I don’t know what changes will come, I choose to accept who I am today. I am conflicted about becoming successful. So much change if I am successful with my network marketing business. I don’t know what that will feel like. It’s way out of my comfort zone. I know what to expect when I stay in my comfort zone. It feels more comfortable to keep things as they are. What will happen if I climb the ranks to Diamond? I am so used to my comfort zone. It feels save here in my comfort zone. I want success so much but I feel the resistance to the unknown changes that come with it. This fear of the unknown is causing me to sabotage success. But I really do want to be free of the constant struggle of earning a living. Have time and really live my life instead of struggle to make ends meet. I want to have fun working from home and helping others build a freedom business with me. I can release the fear of the unknown. I AM releasing the fear of the unknown. I AM releasing the fear of success. I am releasing my fear of change. Releasing all the ways I resist change. I’m releasing it from every cell in my body. I have changed a lot already over the years. I have enjoyed a lot of the changes I have made already. I am focusing on the fun I will be having. I am focusing on the new friends I will be making. I am focusing on all the people I will be able to help. I am enjoying my success. I am feeling safe and confident in my successful business. I am eagerly anticipating all the unknown pleasures that success will bring my way. I am enjoying success and all the changes that go with it. I am allowing myself to make positive changes. I am enjoying the changes that come with success. I am joyfully allowing my success and the change that comes with it. I am allowing myself to feel comfortable with the all changes that success brings. I am excited about the unknown changes that are coming with my success. I am grateful for the positive changes that come with my success. I am moving forward and embracing change in a calm and confident way! What fun success is bringing me. Tap through this script as many times as needed. This is one you could tap every morning as you start your day.